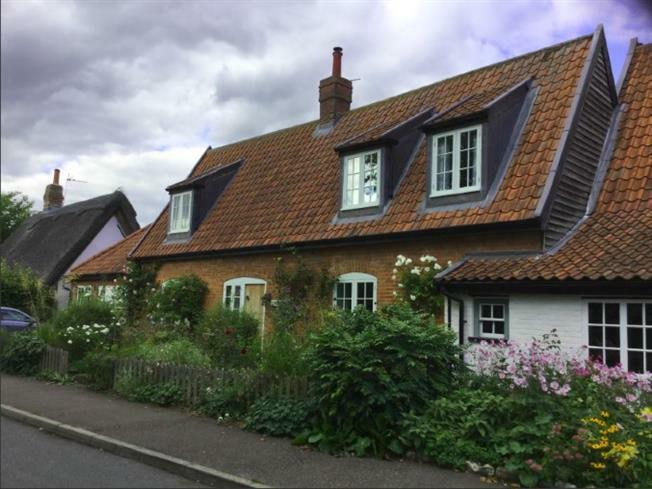 3 Bedroom Semi Detached Cottage For Sale in Thetford for Guide Price £450,000. FEATURED IN THE BIG OPEN HOUSE. This pretty period cottage has been lovingly restored and extended, alongside its beautiful, well stocked, landscaped gardens. 'Cleobury Cottage' includes a wealth of character and provides well proportioned space to entertain. The beautiful, contemporary kitchen and garden room, features a glass roof, double doors and ample windows overlooking the stunning rear garden. Period character can be found in the sitting room, the bedrooms are doubles and the bathrooms include a delightful freestanding bath in the family bathroom and a super ensuite to the master bedroom.